Looking for a fun way to practice number recognition? Then look no further. 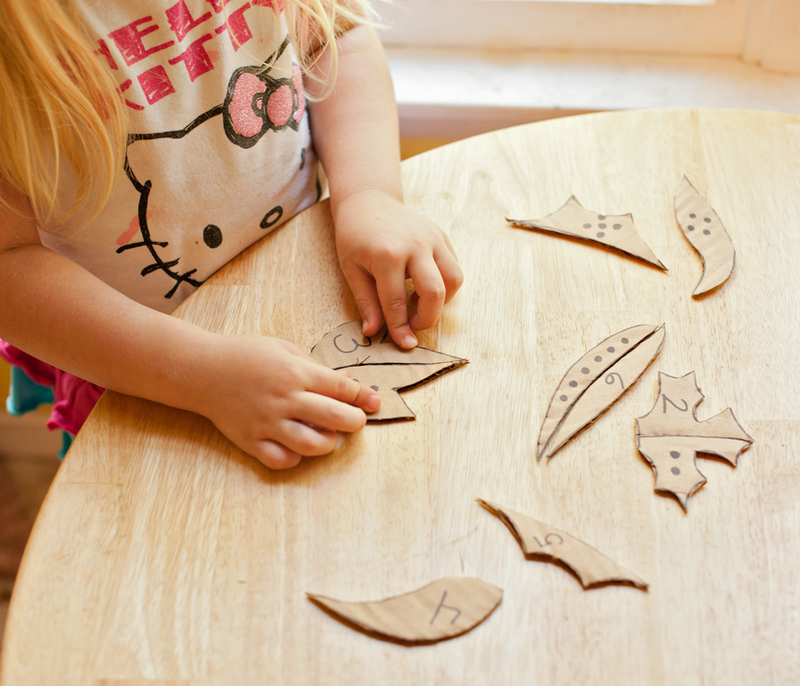 Playing with these letter and number recognition puzzles is a fun way to get little fingers and mind active. 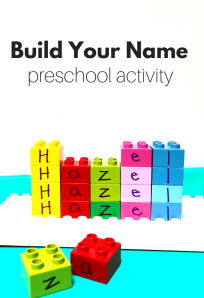 This is an activity you will want to do ahead of time and have ready for the little ones. 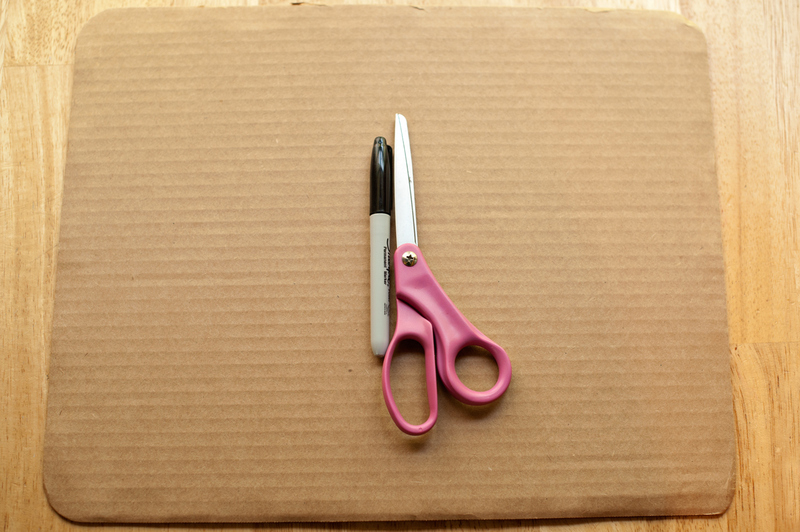 Grab a piece of corrugated cardboard, a marker, and a pair of scissors. 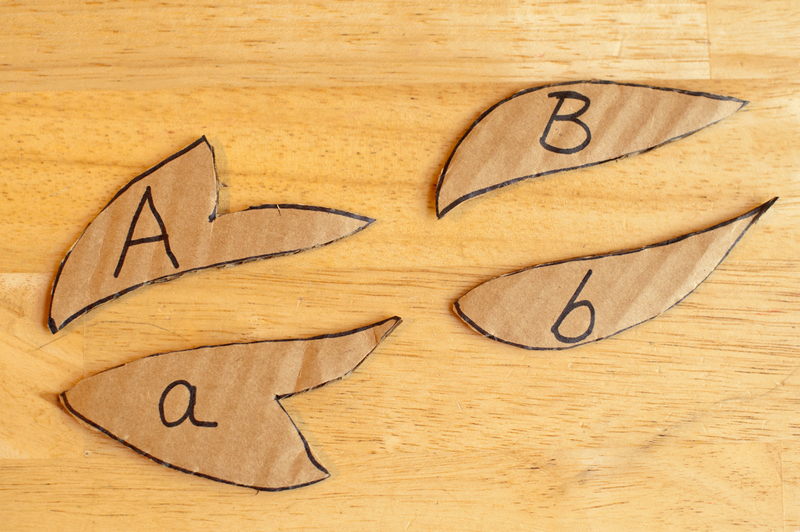 You can use posterboard or craft foam, but corrugated cardboard is so much thicker and it is easier for your child to see that they are matching the pieces up correctly. 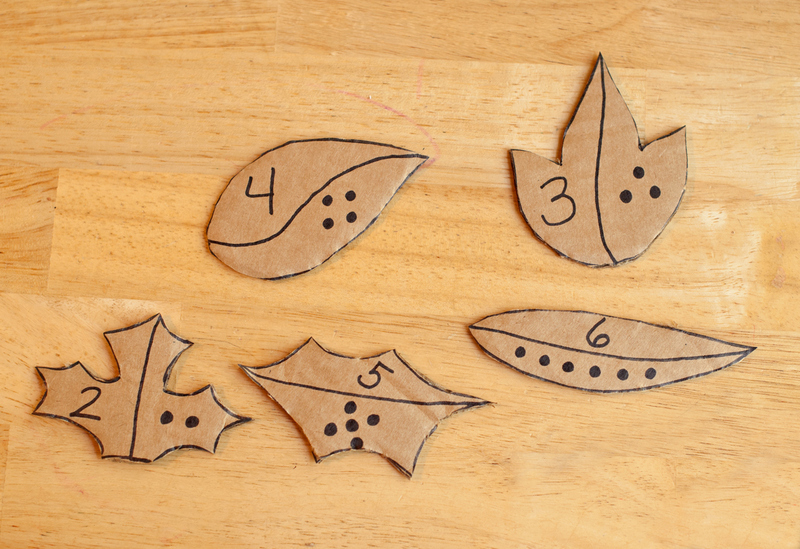 Draw some leaves on the cardboard. Then draw a line through them. I like to do a squiggly line to help the pieces “lock” in together better. 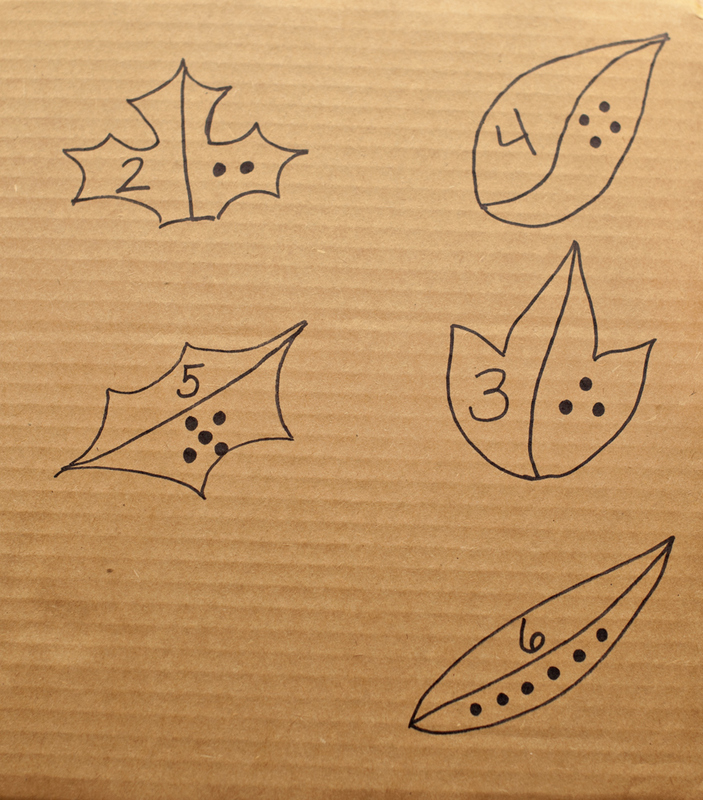 Now draw a number on one side of the leaf and dots corresponding to that number on the other side. Cut out the leaves. This is the part where you will be glad you are not making these pieces with your children. 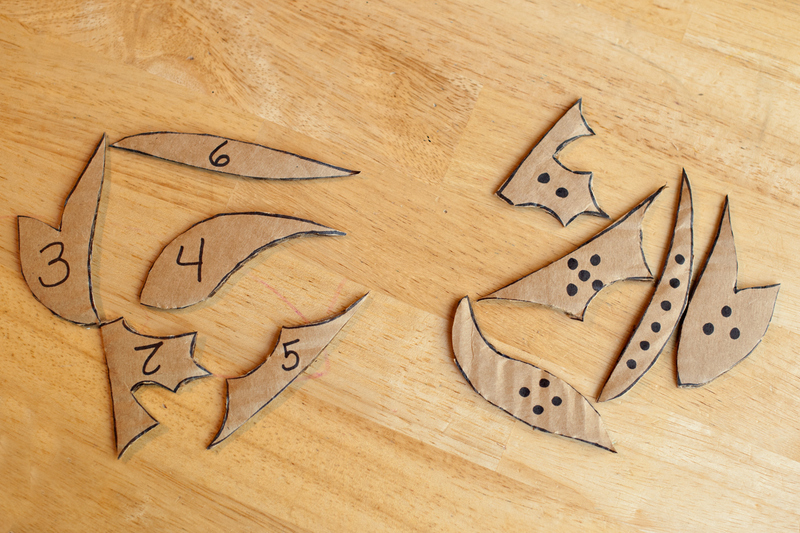 Cutting the cardboard can be tricky because it is so thick. 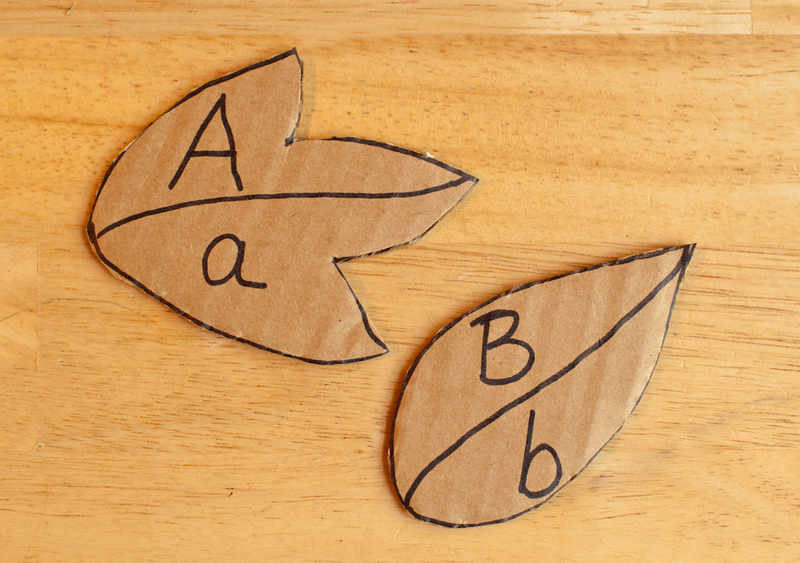 You can also draw and cut out leaves with upper and lower case letters to match up. 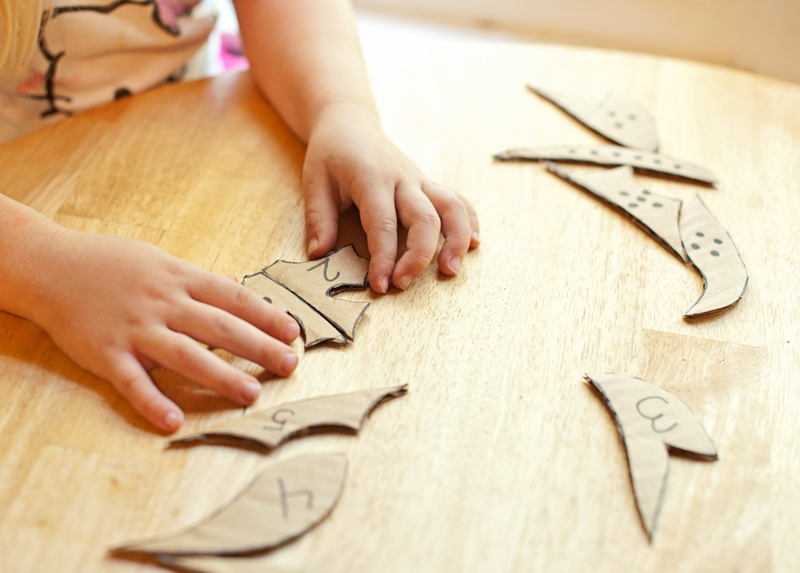 *VARIATION- Math equations would offer a more challenging task for older siblings that want to join in the fun, too. 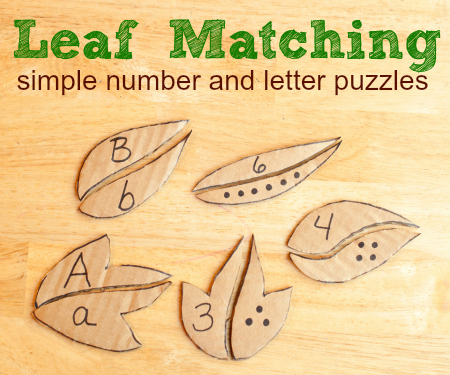 For younger children (and ambitious caregivers) you could color the leaves for color matching. Cut along the line you drew that divides the leaf. Now divide your leaf pieces into two sections. One section with the numbers written on them and one section with the dots drawn on them, or upper case letters and lower case letters. Watch your child match them up. It is fun to watch them match different ways each time. Sometimes my daughter would match by number recognition and then counting the dots. While other times she matched the shape of the leaves. Any way they match is great practice for reasoning and logic skills. 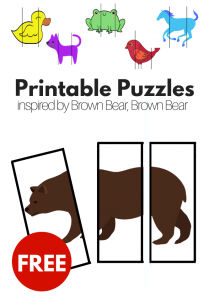 Putting the pieces together make great motor skill exercise, too. This is so fantastic in so many ways. I love leaves! I can’t wait to set this up for my two young boys. Great idea. Thank you for sharing. What a great activity! Thanks for sharing. Great great great idea! 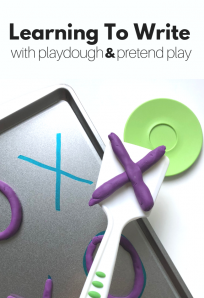 I’ve got 2 preschoolers at home & they’re going to love this! I think this will work pretty well for a travel game too. This is a great idea! I’m going to do the whole alphabet and numbers to as high as I can create. I assume after a while there just won’t be space for any more dots! Thank you for the idea.